For information on Albany and Southwest Georgia attractions, visit www.visitalbanyga.com or www.exploregeorgia.org/region/plantation-trace. The Parks at Chehaw. An 800-acre lakeside recreational and wild animal park created by famed naturalist Jim Fowler with playgrounds, picnic areas, biking and nature trails, boat docks, a BMX track and camping accommodations. Thronateeska Heritage Center. Listed on the National Register of Historic Places; includes a history museum, planetarium, restored train depot and original 1912 brick streets. 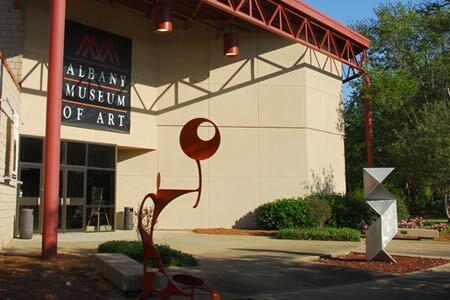 Albany Museum of Art. Houses a collection of 19th– and 20th-century American and European art, changing exhibits, children’s activities, and one of the finest collections of Sub-Saharan African art in the South. Albany Civil Rights Institute. Housed in the beautifully restored 1906 Mt. Zion Church, the museum features artifacts and educational exhibits highlighting the key roles played by local leaders in the Civil Rights Movement. It also serves as a center for ongoing academic research and educational lectures. Flint RiverQuarium & Imagination Theater. 175,000-gallon, 22-foot deep blue hole spring aquarium with high-tech, interactive exhibits exploring the watery world and its regional importance. Ray Charles Plaza. 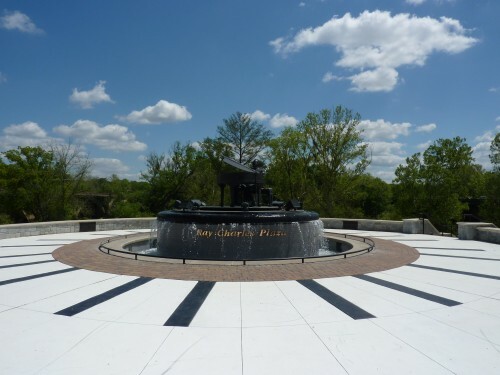 The legendary musician is honored by his hometown with a beautiful riverfront park featuring the native son’s tunes and a remarkable life-size statue of him playing the piano. Albany Civic Center. Choose your concert or annual event at the region’s largest indoor event venue, with seating for 10,000. Albany Marathon and Mardi Gras Celebration. Every March, thousands of community volunteers host more than 2,000 long-distance runners and then celebrate the occasion with a music festival featuring some of the region’s top acts.